Reel Cinemas, a major cine brand under Emaar Entertainment - the leisure and entertainment arm of UAE's leading developer Emaar Properties - has announced the launch of the country's first ScreenX outlet at The Dubai Mall. ScreenX is the world's first multi-projection system used within a theatre setting. 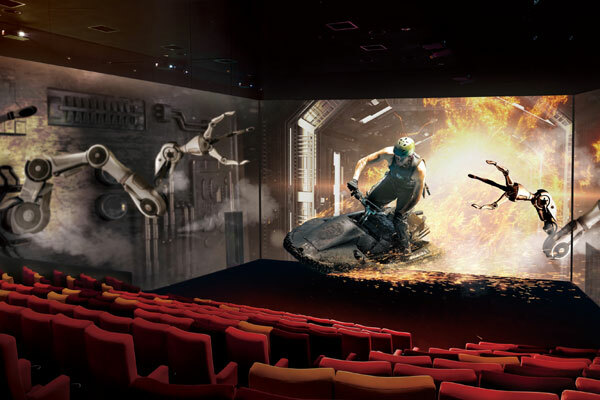 It was created in 2012 by CJ CGV, part of South Korean conglomerate CJ Group, as one of the "next cinema formats" along with 4DX, the multisensory cinema technology with motion and environmental effects. ScreenX allows moviegoers to go beyond the frame of the movie screen by utilising a proprietary system that expands images of feature films and pre-show advertising to create an immersive, panoramic, 270-degree format that projects onto three theatre walls. To date, ScreenX has been installed in 142 screens around the world. Announcing the launch, Reel Cinemas said it has been at the forefront of bringing forth innovative and new cinema concepts to the region and ScreenX is its latest addition. Other firsts include Dine-In Cinema at Reel Cinemas - Jebel Ali Recreation Club as well as Reel Boutique, the first in-hotel cinema at Reel Cinemas - Rove Downtown.